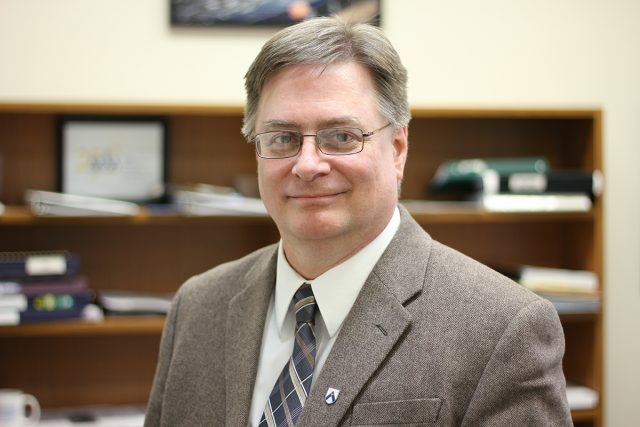 Dr. Steve Robinson has been appointed Vice President (Academic & Provost). Brandon University’s (BU) Board of Governors has approved the appointment of Dr. Steven Robinson as Vice-President (Academic & Provost) for a five-year term. Dr. Robinson will serve from July 1, 2016, until June 30, 2021. Dr. Robinson has a long history of service to BU. After lecturing at both the University of Regina and the University of Guelph, Dr. Robinson joined the BU Department of Philosophy in 1996. He has since been promoted to Associate Professor, served three terms as Chair of the Philosophy Department, and done two brief stints each as the Associate Dean of Arts and Acting Dean of Arts. Dr. Robinson has also served on the BU Senate and the BU Board of Governors, as well as five years as one of the University’s Conflict Resolution Advisors. Since 2015, Dr. Robinson has filled the role in the Acting Vice-President (Academic & Provost). Dr. Robinson has taught widely in his field, ranging from subjects like logic and ethics to ancient philosophy, metaphysics, and democracy. His research and publications pertain to the philosophy of Plato, the evolution of ethics, and phenomenology. The position of Vice-President (Academic & Provost) plays an important role in the academic direction and institutional development of Brandon University. Dr. Robinson will work in conjunction with the President, Deans, and other members of the University community to advance the academic programming; teaching and learning; research, scholarly and creative activities; and University-community engagement consistent with the mandated of the Vision and Mission of the University. In 2015/16, Brandon University enrolment grew by five per cent. Dr. Robinson’s role will be to support the further growth and development of the University and its contribution to post-secondary education within the Province of Manitoba.